French onion soup is comfort in a bowl. Several pounds of onions are cooked low and slow until they become sweet and caramelized. The onions are then added to beef stock and simmered for the flavors to meld together. 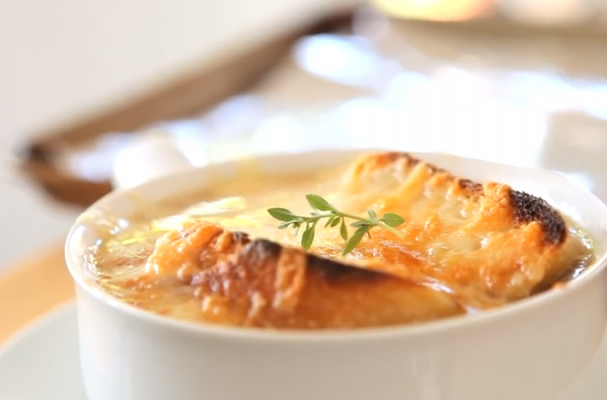 The best part about French onion soup is the topping: a slice of bread and melted Gruyere cheese. This soup is great as a starter course but also rich enough to be a main dish.